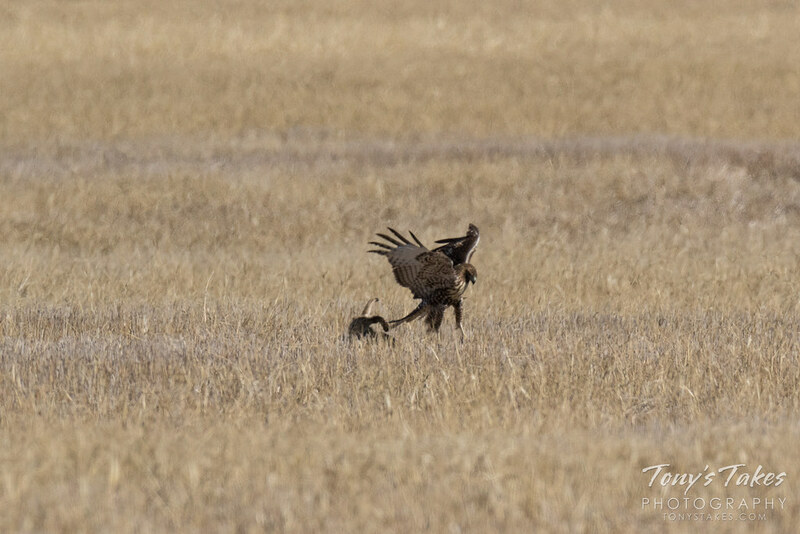 A fun series of images that I captured last Friday while out for a drive near Denver International Airport. 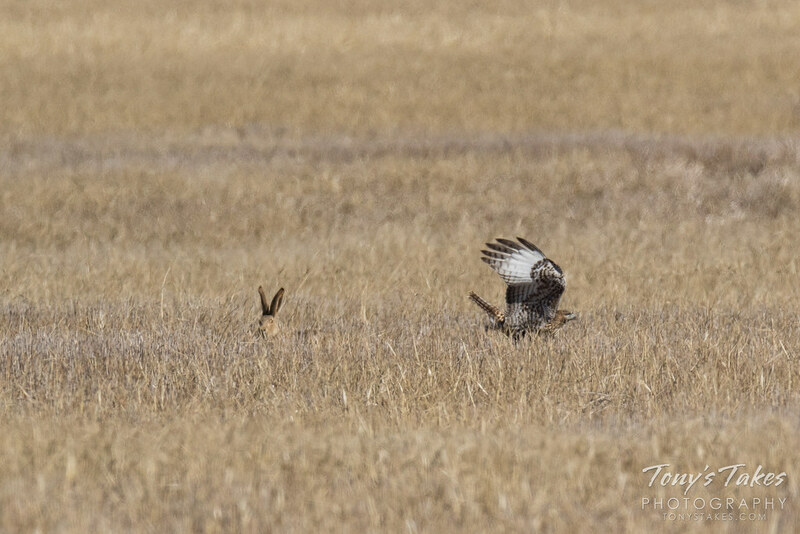 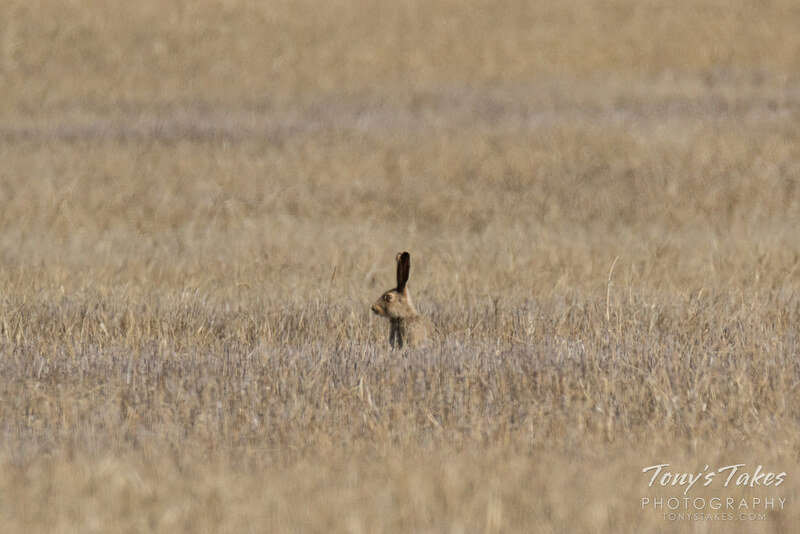 I was driving along and see a flurry of activity in a field and on closer inspection, I see a hawk and rabbit on the ground. 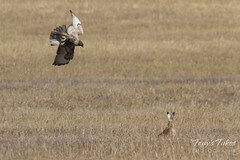 The hawk took flight and circled back around, taking a dive at the rabbit. 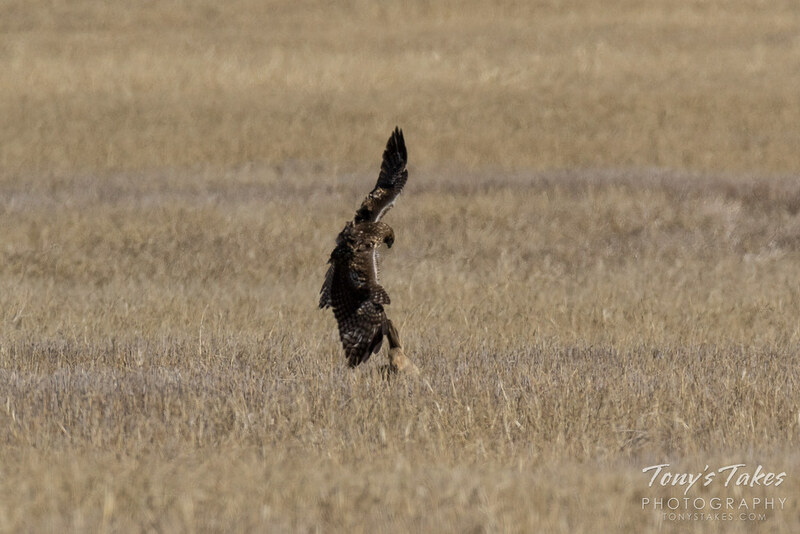 I flipped a quick u-turn and trained my camera on the action. 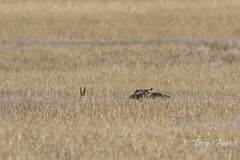 Three times more the hawk dove at the rabbit. 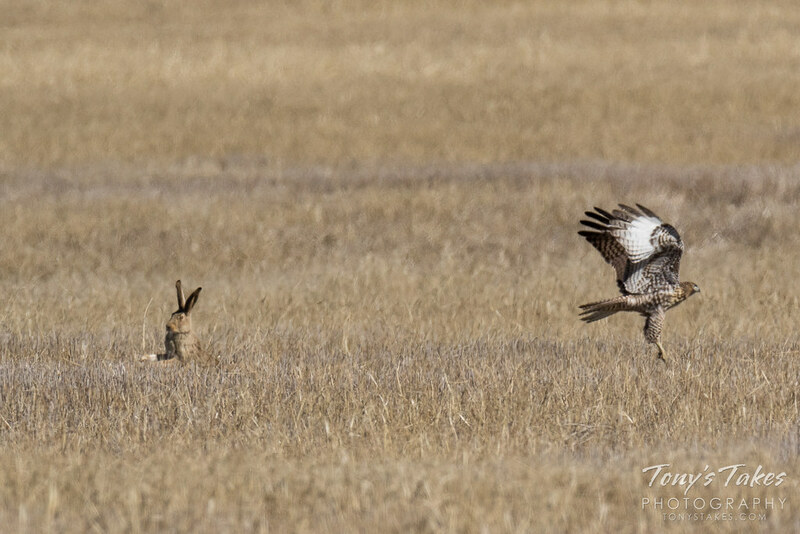 This series captures the final attack pass. 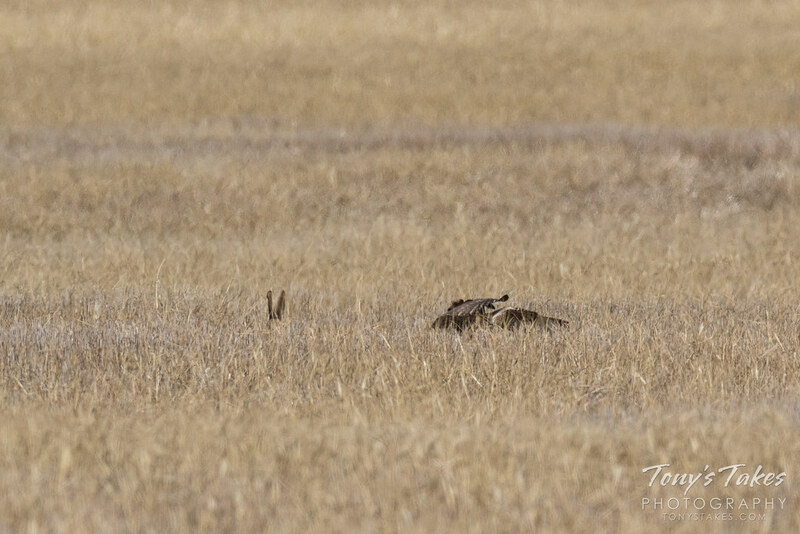 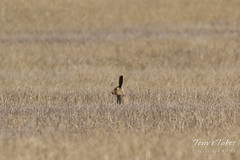 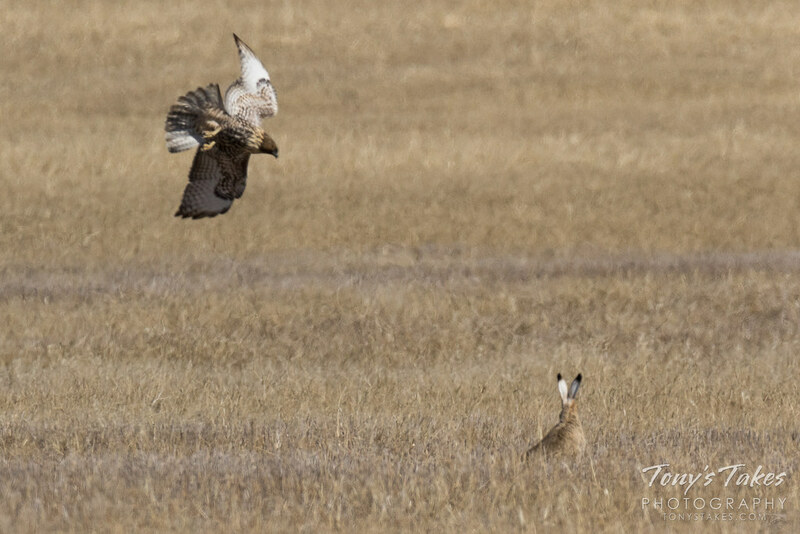 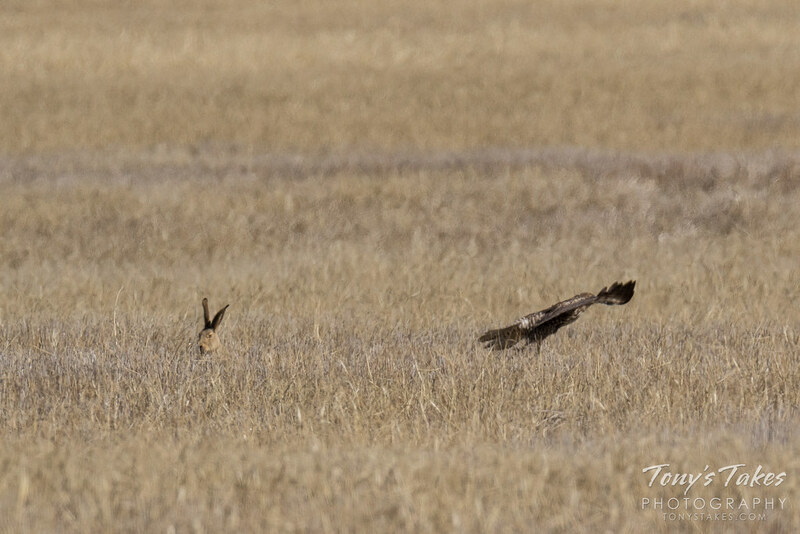 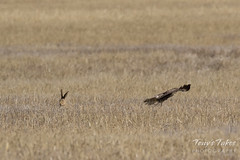 Surprisingly the rabbit never ran off, instead choosing to sit there and then jump and evade whenever the hawk got close. It must have worked though as the raptor soon gave up and flew off in search of an easier meal. 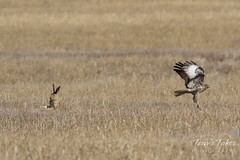 In this case, the prey got the better of the predator. 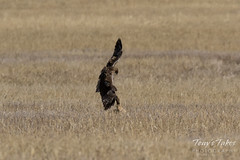 Scroll down to view all the images in the sequence.